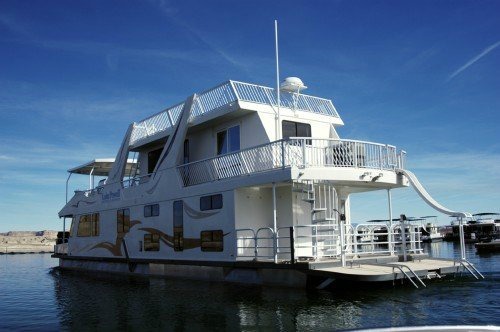 House boat rental, for most of us, is the most viable option for being able to experience the fun and adventure of a house boating vacation at Lake Powell. 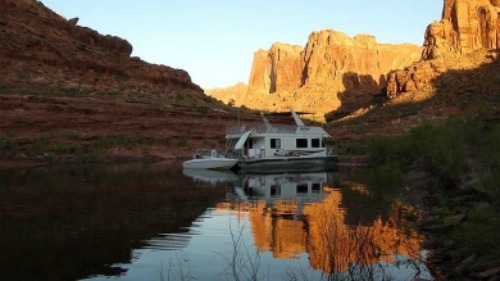 With almost 2000 miles of shoreline and 254 square miles of water, 96 named side canyons that bend and twist serpentine-like through scenic canyons of ancient stone, Lake Powell offers some of the best house boating vacations in the world. 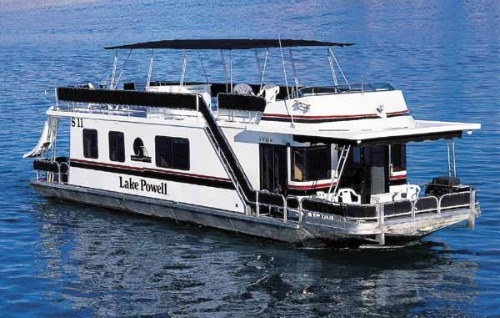 At Lake Powell, there is a house boat rental to fit every budget, want, desire and need: from the Weekender, a 36’ x 12’ open air patio boat, to the luxurious 75’ Odyssey and Silver X Treme. The 'Deluxe Houseboats' are upgraded houseboats with an increased level of amenities, for extra comfort and enjoyment. The luxury models are the top-of-the-line houseboats offering elegance and style, plus luxury amenities such as hot tubs, upgraded kitchen equipment and satellite TV. House Boats, Power Boats, Personal Water Craft, as well as other watercraft, can, also, be rented at these marinas. Reservations are a must and you should call well in advance of your visit; especially if you must havespecific dates. Also, reservations can be made by calling National Park Reservations at 1-866-875-8456 from within the United States. Outside of the USA, call 1-406-862-8190. A Word of Caution: National Park Reservations charges a 10% fee of the total cost of the reservation. This can be very costly. However, it is a handy place to call if you are visiting other National Parks and don’t want to call several different places to make reservations. Just be aware of their fee. By the way, they are a private business and have NO affiliation with the National Park Service. I have tried to be as thorough as I can, but if you still have some questions or concerns about house boat rental, please check out my page of Frequently Asked Questions.